T-Mobile subscribers with the Samsung Galaxy Note 5 might be feeling a little more secure today as the phablet has started to receive the latest security update. This isn't much of an update as these things go, since it weighs in at a paltry 24.39MB. Included with the new files is the July 2017 security patch. The Baseband Version is N920TUVS4EQG1. When you receive the notification telling you that the update has arrived on your Galaxy Note 5, there are certain things you need to do in order to make sure that the update is properly installed. Before you proceed with the downloading and installing of the update, you need to check your battery to see if it is charged to at least 50%. In addition, your phablet needs to have a data connection, preferably one to a Wi-Fi network. T-Mobile also reminds you that while in the middle of updating your device, do not touch any buttons, remove the battery, or turn the phablet off. 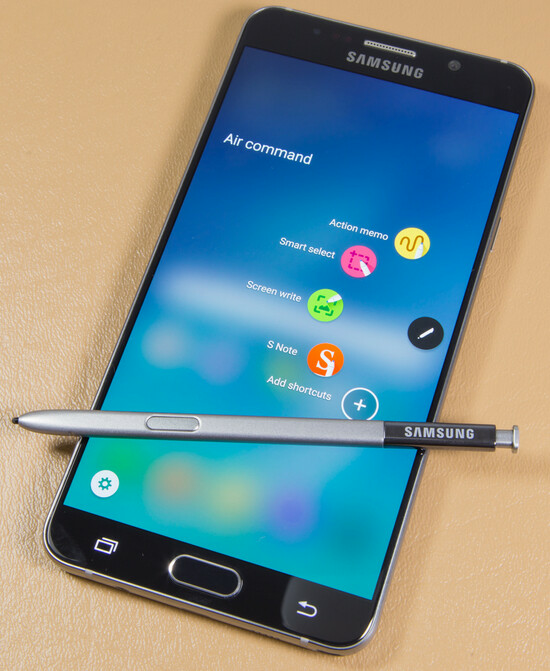 Interrupting an update in the middle of installing it could result in permanent damage to your Galaxy Note 5. Keep in mind that while the security update is being is being downloaded, you will not be able to make or take any calls on your device. That includes 911 emergency calls. Because the update is being disseminated OTA, it might take a few days before it hits your phone. You can try to manually have the update arrive on your Galaxy Note 5 by going to Settings > Tap Software updates > Download update manually. The phone will then automatically check for an update. If one is there, click on install to start the updating process. ??? Why wouldn't they have a 2 year old phone? My Note 5 has performed almost flawlessly for the last 2 years. Because they are part of the few still left in the world that have some common sense.